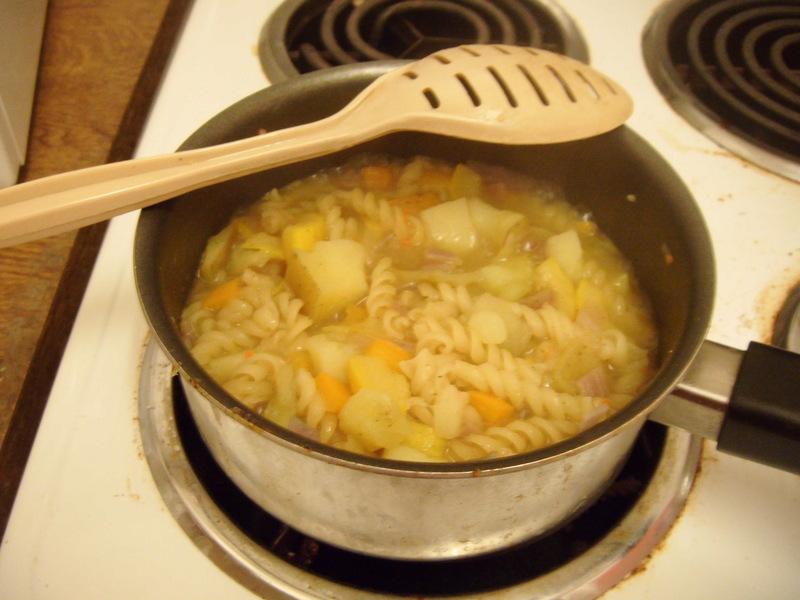 This wonderfully warming soup/pasta is purely vegetarian, just for a change as it contains, potatoes, courgettes, an onion, plus pepper and pasta and a couple of Kallo vegetable stock cubes have been added to enhance the flavour. I can also add that no salt was added as the stock cube contained celery salt so adding any further would be silly. Although the day was over cast and I was unsure what to have for dinner, this seemed the option to have, plus I can add further vegetables tomorrow as I made enough to last 2 or days. Adding the stock cube, which ever flavour would suit, whether it be vegetable or tomato and herb, just adding them has given the dish a whole different and wonderful flavour. This entry was posted on 11/03/2014, in Soups, Stock Cubes, Uncategorized and tagged celery salt. Fruit Vinegars, which is your choice? Amanda J on I’ve made bread!! lucylox on I’ve made bread! !